When at their best, stealth games feel like a mixture of logical puzzle-solving and pure, chaotic improvisation. They feel alive, and yet decipherable in ways real life can't be. They let the player feel both control over a situation and a degree of wariness, of uncertainty. In their purest form, stealth games make the player feel both all-powerful and crushingly vulnerable. Creating a stealth game, then, is an act of balancing both sides of the equation. Stray too far on the side of logic, and the game becomes rote, a simple exercise in pattern recognition. Stray too far on the side of chaos, and the game feels impenetrable, with the player left betrayed by their gained knowledge. It is on this logical side of the margin that Aragami stakes its claim, and while the game itself is solid and, in some ways, intensely clever, it seems to be afraid of itself; afraid of delving too deeply into certain mechanics, and of allowing the player anything more than a glimpse at some much-needed chaos. 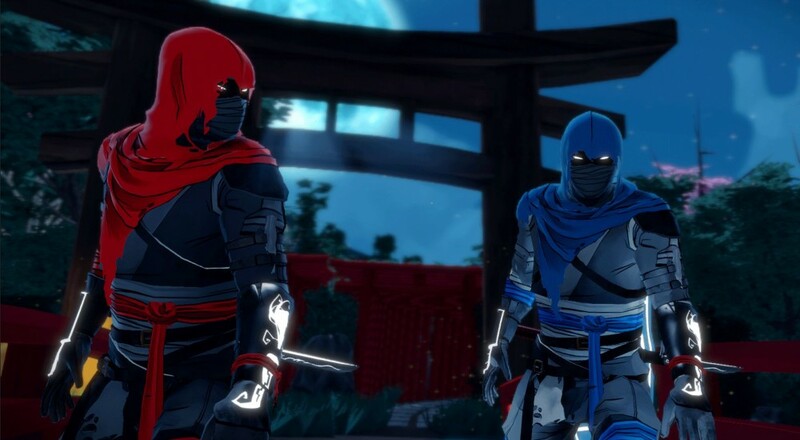 Aragami's core gameplay isn't terribly different from its predecessors. For large swaths of the campaign, objectives alternate between reaching the far end of a stage and destroying an object somewhere within it, slaying or slipping past wandering guards all the while. To aid the player in this task, the titular aragami can employ a number of obtainable powers to blind, distract, or consume his foes. 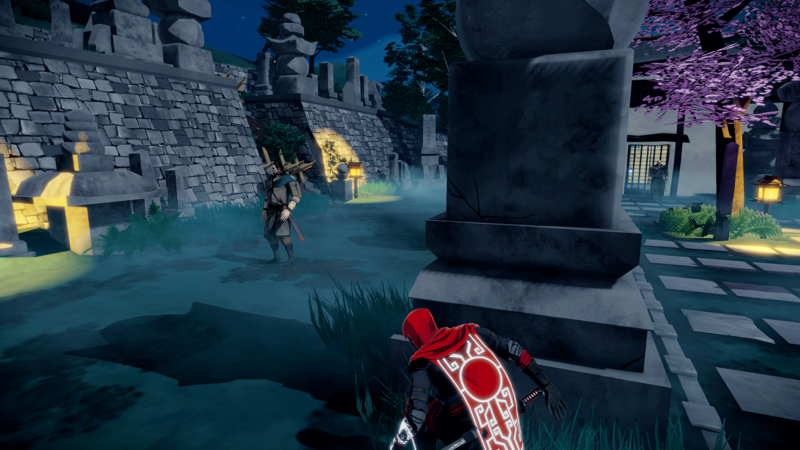 Most of this is to be expected of a standard stealth experience, but developer Lince Works then twists the formula slightly by enforcing an intense reliance on darkness; not only must the aragami stick to the shadows to avoid discovery, he can also use them to teleport throughout the level and charge various abilities. It's a fun augmentation, but rather than subvert any traditional approaches to the stealth genre, it mostly serves to reinforce existing notions. Despite a bit of frustration stemming from the need for precision (especially in regards to ledges and the shadows of very small objects), the actual act of leaping from shadow to shadow feels quite sharp and opens stages up in unexpected ways. Melee combat is absent in the traditional sense. In its place is a single, context-sensitive button that sends the aragami into a canned (and initially enjoyable) takedown animation. On its own, this is a non-issue and, in fact, should've assisted in enforcing the notion of vulnerability. However, the problem lies in its ability to be enacted on a foe from almost any angle or level of awareness. While the takedown is a much more difficult task to perform on a guard in active combat, it means that savvy users must do little more than simply be within a few feet of an unaware, or even semi-aware, victim to silently remove them from existence. Were the player faced with a more complex situation, such as a front-facing attack creating a large deal of sound or allowing for a higher potential of counterattack, the subsequent decision would've felt much tougher and, thus, more enjoyable. Compound this with the player's ability to create shadows at will (meaning that they can appear beside a foe at a moment's notice), and you're left with a combat mechanic offering the player little more than a rudimentary challenge.